This year's show had a lot of long-awaited reveals, and a few surprises. The 2016 Lost Angeles Auto Show is now open to the public and we got to see some impressive reveals during the press days that will soon be in dealerships across the country. We chose a nice balance of cars that we think will be incredibly important for their brand's success in the future, as well as a few that are simply awesome. Let us know in the comments which LA reveal was the best, and which one you would most like to own. If you look at all of the new reveals at LA this year, it would be hard to say that the Lamborghini Huracan 580-2 Spyder wasn't the coolest car there. 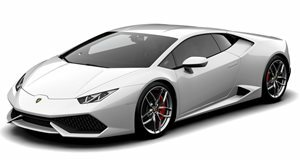 We like the Huracan, but always felt that it was missing an X-factor to differentiate it from the less expensive Audi R8. The Spyder was a sexier version of the Huracan, and the RWD 580-2 model was the pure driving experience that we always wanted from a Lamborghini. We knew that Lamborghini was going to bring something cool to LA, and we are glad that it was a RWD Spyder model. This new model has jumped to the top of our list of favorite Lamborghini models and is the one we would spend our money on. The Jeep Compass may not be nearly as exciting as some of the other cars on this list, but we still feel that is an extremely important car. The old Compass wasn't the best, sporting boring looks and a cheap interior. Jeep has completely redesigned this model and it is a huge improvement. 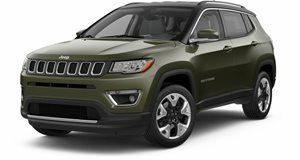 The larger Cherokee is a bit odd looking and the smaller Renegade is a bit too "cute." We think the new Compass will sit perfectly in the Jeep lineup and be a hot seller for the brand. It may not be as exciting as a new Trackhawk model with a Hellcat powertrain, but it will be extremely important for Jeep's sales. We were expecting Mercedes to build more Maybach models, and the S-Class convertible is a great place to start. We think that the S-Class Cabriolet is a stunning car, and the Maybach S650 takes the opulence to a new level. The wheels may not be to everyone's taste, but you can't deny that this is one fancy vehicle. Only 300 examples will be built, making them extremely rare. The car will be powered by a 6.0-liter V12 with 630 hp with 737 lb-ft of torque. The Maybach should be a nice middle point between the S600 and the S65 AMG, the former of which is built for comfort and the latter for sporty driving. We would have preferred a coupe like the Maybach 6 Concept, but we won't complain. The Alfa Romeo Stelvio is more than just an important model for a brand. The Stelvio could make or break the company in the US. The Giulia hasn't arrived in dealers yet, but we think that Alfa Romeo's US success hinges on whether the Stelvio is a hit. In the US, SUVs have the capability to sell in larger numbers than sedans, and Alfa will be hoping the Stelvio appeals to buyers on this side of the pond. The Stelvio will be available with a 503 hp twin-turbo V6, which Alfa claims will be faster than a Porsche Cayenne Turbo. This thing may be the coolest SUV on sale. We have been hearing all about the Honda Civic Type R, and its impressive 305 hp turbocharged VTEC engine. However, we were just as excited to see what was in store for the lesser Si model. The previous generation Si desperately needed a refresh. The 2.4-liter 204 hp four-cylinder was way behind the competition from Ford and Volkswagen. At LA, we finally got our first look at the 10th generation Civic Si. The new car will have a 1.5-liter turbocharged engine, but horsepower figures haven't been announced yet. 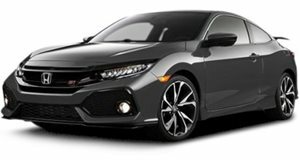 Like previous Si models, the new car will only come with a manual transmission, so we know it will be for true enthusiasts. A different kind of Jeep, for a different kind of adventure.